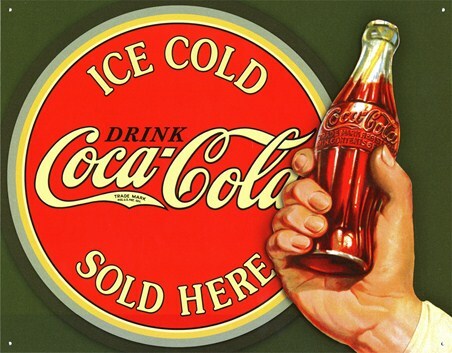 Drink Coca Cola Tin Sign: With a brand name so big, Coke don't need advertisements bursting with long words and famous faces. 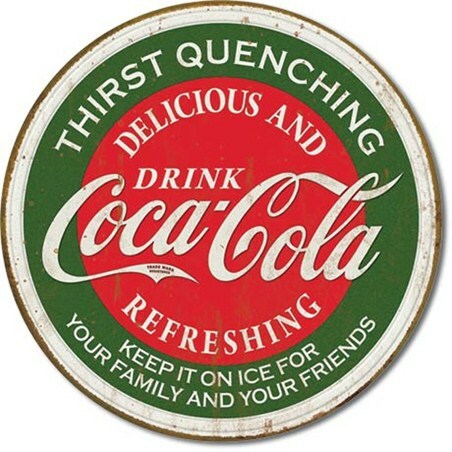 This vintage Coca Cola tin sign is short, sweet and to the point but it will have people running to their nearest shop to grab a bottle in any weather. 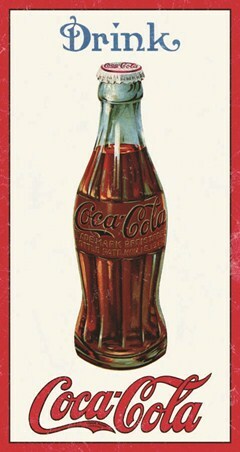 This sign features the original "contour bottle", designed in 1915 by bottle designer Earl R. Dean as part of a competition run by the company to find a design that would make the bottle so distinguishable from others that even if it was broken you could still tell it was a cola bottle. 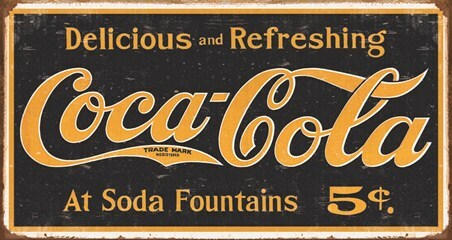 This sign will fit into any room whether it be at home or in a shop, adding some vintage class wherever it is. 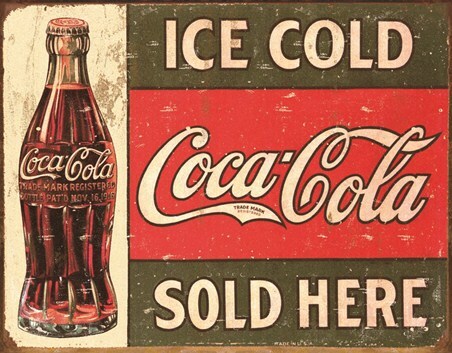 High quality, framed Coca Cola, Classic Advertisment tin sign with a bespoke frame by our custom framing service.